Since 1926 LiftOne, a Division of CTE (formerly Carolina Tractor & Equipment Co.), has been a family-owned material handling and warehouse solutions supplier of choice throughout the Southeast. We strive to be our customers' trusted partner and as industry experts, we know material handling and warehousing top to bottom. Our customer-focused team builds positive, lasting relationships designed to give our customers a competitive edge. In this role you combine technical knowledge with sales skill to profitably grow revenue for the company and maximize market share. This position requires someone that has a strong mechanical acumen, is assertive, personable, and solutions-oriented. In this position, you will identify new sales opportunities and manage a book of assigned business, develop sales proposals, estimates, specifications, and presentations. The ability to work with people and teams is essential - therefore mirroring the value profile of CTE. Strategically identify opportunities to grow sales profitably with new and existing customers within an assigned territory. Develop and execute account plans for existing and potential target accounts. Partner with the customer to understand their business and serve as a trusted advisor who understands their needs. 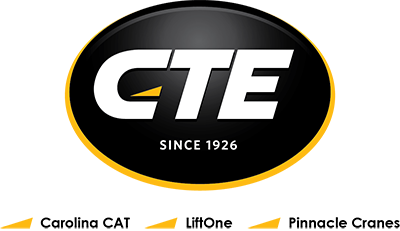 Develop and deliver product demonstrations and sales presentations that explain why a customer should consider a change, why it makes sense now and then why you and CTE are in the unique position to deliver the solutions that will benefit the customer. Think critically and suggest improvements that lead to risk mitigation, cost savings, profitable revenue growth or other customer goal achievement. Provide clear and accurate responses for RFPs and contribute technical solutions directly to proposals. Identify customer business opportunities by analyzing cost-benefit ratios of equipment in customer environment; engineering or proposing changes in equipment, processes, or services. Develop and calculate finance solutions for varied customer needs or demands. Customer Empathy - Develop “loyal” and not just “satisfied” customers – Demonstrate understanding and expertise about our customers through business partnership, integrity, commitment and responsiveness. Be a Team Player - Be an “enterprise thinker” when discussing solutions with customers. Predisposition towards prospecting and team selling - passing leads, intentionally helping teammates, including cross-functional and departmental networking. Have a Sense of Urgency – Bias towards action, prioritizing customer needs and service while also achieving constant, forward movement in the sales process. Be a Critical Thinker - Leverage our entire product, services and technology portfolio to provide solutions to customers’ problems and create growth accelerators for customers’ businesses. Have Intellectual Curiosity - Push yourself on hard and soft skills training and development, continuously. Develop and deliver technically competent, customer facing product walk-arounds, product demonstrations and sales presentations that align with customer goals, challenges and growth objectives. Display Competitiveness and Resilience – Demonstrated persistence and ability to handle rejection. Fanatical about understanding and executing the sales process. Proof that you create your own economy. Explain how failed sales attempts are not failures but investments in the process. Hold yourself accountable, possessing leadership, motivation and purpose. Previous sales experience within the industrial/technical sector with a documentable track record of successes and accomplishments. Strong presentation, written, and oral communication skills. Ability to “think outside the box” to offer new ideas, concepts, solutions etc. A desire to build your career. We see this role as a feeder for our future business leaders and you should share that desire.